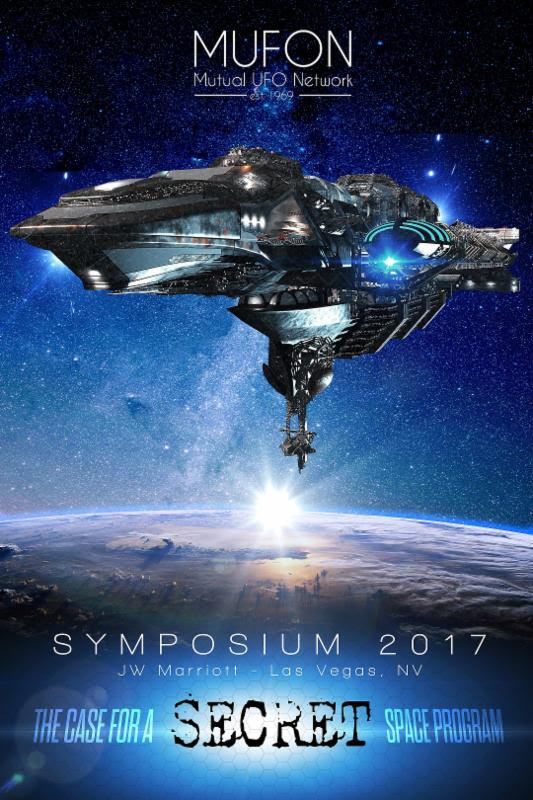 Bad UFOs: Skepticism, UFOs, and The Universe: Roswell: Two UFO Conferences Coming Up in 2017 - SIMULTANEOUSLY! I guess MUFON has been watching old Stargate reruns thinking they were factual. I guess that "secret" thing is supposed to be in low earth orbit, judging from the illustration. When the ISS passes over it is usually brighter than any star,and this thing is much bigger than the ISS. How come nobody ever sees it? Also, some people are getting detailed photos from the ground, showing the structure of the ISS. How come nobody ever photographs this monstrosity? Oh my, such a conumdrum. Where do you spend your UFO dollars? Robert, if you think the forthcoming conference "sounds surprisingly skeptical", you must use a different definition of "skeptical" than the rest of us! You cut Jack Brewer a lot of slack because he doesn't believe in alien abductions, but he does believe in a vast US government conspiracy to make thousands of people think they're being regularly abducted by aliens, sometimes for decades. Most of his evidence for this derives from his uncritical acceptance of the testimony of Leah Hayley (who will also be speaking at the conference), an attention-seeking fantasist and ex-abductee whose story changed dramatically to eliminate the aliens while retaining an enormous decades-long conspiracy that was all about her the moment she fell out with MUFON. The other speakers will mainly also be trying to pin the blame for extremely improbable things on the US government. One fellow thinks they murdered Marilyn Monroe for knowing too much about flying saucers through her relationship with JFK. And of course there's Nick Redfern's interesting theory, which I very much doubt he believes himself, that what crashed at Roswell was a hybrid balloon-glider-bomber, and the "aliens" were actually Japanese midgets with progeria who for some incredibly contrived reason the USAF were using as test-pilots for a secret weapon! I suspect Nick was inspired to make up this nonsense by Billy Wilder's film "The Private Life Of Sherlock Holmes", in which the British government uses midgets, one of whom is found dead in bizarre circumstances, in top secret weapon tests which they cover up by means of an elaborate Fortean hoax. By the way, it's a comedy. Oh, and there are at least two speakers who think that alien abductions are real, but the "aliens" are actually demons who can be banished by having true faith in Jesus Christ. I'd say that was even less skeptical than believing in extraterrestrial rapists! The truth of the matter is, this conference is a circus designed to attract tourists and sell UFO-related souvenir tat. The organizers probably don't really believe the myth they're promoting, so they're pitching it in a way that'll make the most profit. And right now, extreme paranoia about your own government with a side-order of born-again Bible-thumping sells better than claiming that space perverts might walk through your bedroom wall and put big things up your bottom. Once again you give us some very provocative insights. I wrote that the title "Modern Challenges to the Extraterrestrial Hypothesis" sounded rather skeptical. But you're correct that it's possible to suggest explanations even crazier than ETs, and indeed that is likely to happen at the next UFO Festival. As for Leah Hayley, if she is an example of a "challenge" to the ET hypothesis, then you are correct - this "challenge" just goes from one implausibility to another. Huh??? I recommend you go back and read what I said in my Body Snatchers in the Desert book. I stated (as the people I interviewed told me) that the crew on the specific Roswell crash were around 5-feet tall (but not midgets, and not physically handicapped etc) - they were regular, Japanese pilots drafted in as a part of an Operation Paperclip-type program. The references in the book to people with midgets, progeria etc relate to what I was told were additional high-altitude balloon-based operations in the post-WWII era - but not piloting them. The progeria/handicapped angle related to a connected program (in which the people were simply strapped in to try and help figure the various effects of high-altitude exposure), but the actual Roswell crash was with trained, skilled, normal Japanese people. So many people have parroted the false claim I said the Roswell bodies were progeria midgets. Of course they weren't. How could they pilot it when they were physically handicapped??!! As for saying I made it up, that is a very stupid thing to say. The interviewees who provided the data had to sign release forms for the publisher, Simon & Schuster!! S&S' lawyers were heavily involved in this part of the story. For the record, all the publishers I am with insist on release forms for interviewees who appear in my books (such as New Page Books, Llewellyn etc who have published my books). I certainly do believe the theory. Are you aware that John Keel was given a very similar story years ago? The well-known Australian researcher Keith Basterfield told me (and I am sure he will be able to confirm to you) that he was given the same story, specifically before my book came out. His source had a very interesting account. Popular Mechanics, in 1997, said they had been told of a forthcoming release of Roswell files that would (quote) "tell of a Japanese counterpart to Operation Paperclip." None of this came from Billy Wilder! There is, ironically, however, a very interesting Billy Wilder link to all this, suggesting Wilder knew something of how intelligence agencies were using Fortean angles in psy-ops and that Wilder used this angle in his Holmes movie. There is now much more in hand that suggests Wilder knew more of this angle of fortean issues and psy-ops. So, I can absolutely state I did not make this up. But there is little doubt of a Billy Wilder link, as my article shows. Nick, thank you for straightening us out about exactly what you are proposing as an explanation for reported sightings of small bodies at Roswell. Are you familiar with Kevin Randle's newest book, "Roswell in the 21st Century"? I didn't see the book yet, but Jerome Clark's review in Fortean Times calls it a "recantation," and quotes Randle as saying that of eight people who claimed to have seen bodies at Roswell - he had spoke with all of them - and now says that not one of them turned out to be telling the truth. So before you go proposing a very implausible explanation for 'alien body' sightings, perhaps it is wise to ask if there are any credible sightings of little bodies left to explain. Kevin randle would say no. Yep, that is true, most of the accounts of little bodies at Roswell have been shown to be somewhere between unlikely and bogus. That could indeed be the case for the Japanese bodies angle too. But, what I would say is that the old guys I interviewed never claimed to have seen the Roswell bodies. They read, years later, what they claimed were the real Roswell files and got all their info from the files. Hoaxers very often insert themselves into the hoaxes they create to a large degree, sometimes as the main character. Those guys I interviewed, however, (if they were lying) took the opposite approach and showed a great deal of restraint by saying they were never at Roswell, never saw the bodies, and only got their info from files in the 50s and 60s - all of which I note in my book on the subject. None of them ever said something to the effect of "I saw the Roswell bodies." 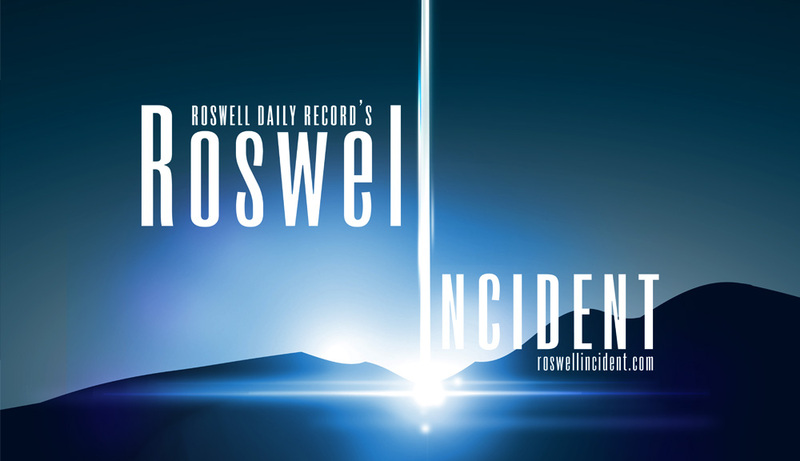 In an odd way, it was kind of refreshing to me to find people who had a lot to say but who never tried to make themselves key parts in the Roswell story - but, instead, just as people who claimed to have been in the right place at the right time to read a bunch of old files - years or decades later. That doesnt of course prove what they said was true. But it does make them quite different to many of those discredited people of the "I was there" kind. Nick, my apologies if I've misrepresented the contents of your book. I haven't in fact read it; you've written a great many books about a great many things, most of them extremely far-fetched, and on the strength of those few I've read, I have little inclination to plough through the whole lot. However, since the link in the article above to the conference you will presently be speaking at draws attention to your book "Body Snatchers in the Desert: The Horrible Truth at the Heart of the Roswell Story", I assumed its contents to have some bearing on your forthcoming lecture, so I looked at the amazon reviews to see what it was about. They're a mixed bag, but quite a few of them state that you claim in the book that physically deformed or severely ill Japanese people were used as test-pilots for this unlikely device, and two reviewers specifically mention that they had progeria and/or were midgets. They also say that all your informants were anonymous, and went by names like "The Colonel" and "The Black Widow"! If any of this grossly misrepresents what you actually wrote, perhaps your time would be better spent pointing out to amazon that certain people are telling lies on its website about your book's contents, presumably in a deliberate attempt to maliciously reduce its sales, than making a fuss about my quoting those comments on a website whose readership is infinitesimally small compared to the traffic amazon gets, and whose target audience consists of people who are extremely unlikely to buy your books anyway. By the way Nick, I notice that in 2012 you contributed a short article to the MUFON website praising your friend Timothy Green Beckley's new book "Plans For Time Machines That Really Work: How To Move Through Time & Space", to which you contributed a chapter. Do you also regard this book as non-fiction? If you do, is there any chance you'll be showing us one of these fully functional time machines at some point? And if you don't, why should anyone take any of your other books to be anything more than tongue-in-cheek potboilers? Of the various sources and interviewees in the book, ONLY the ones referred to as the Black Widow and the Colonel are not named under their real names. No-one else. As I said in my first comment, all of the interviewees had to sign release forms for the publisher. That includes the 2 above. But, they (unlike the others) preferred not to have their names in the book, so they were given aliases. But even though they didn't want to be named, they were still required to provide a release form under their own names for the publisher. Again, all the publishers who I write for (and have written for in the past) require release forms for any and all interviews (and for photos they might provide too). That is standard practice with many publishers. The most release forms I ever had to submit to a publisher was 17 for my 2011 book, The Real Men in Black. "I stated (as the people I interviewed told me) that the crew on the specific Roswell crash were around 5-feet tall (but not midgets, and not physically handicapped etc) - they were regular, Japanese pilots drafted in as a part of an Operation Paperclip-type program. The references in the book to people with midgets, progeria etc relate to what I was told were additional high-altitude balloon-based operations in the post-WWII era - but not piloting them." (END OF QUOTE). As for time travel, could it be possible? Maybe. My book The Real Men in Black includes an entire chapter on that subject which you will undoubtedly hate! The title of the book you refer to begins with the words "Plans for..."
It deals with plans (concepts and ideas, in other words) for time travel. If you are planning something it means it is at the planning stage. If the title of the book was "Time Machines That Really Work," that would be a very different thing. "Plans for" means exactly what it means. You also said (QUOTE): "...perhaps your time would be better spent pointing out to amazon that certain people are telling lies on its website about your book's contents, presumably in a deliberate attempt to maliciously reduce its sales, than making a fuss about my quoting those comments on a website whose readership is infinitesimally small compared to the traffic amazon gets (END OF QUOTE)." I'll tell you why I am "making a fuss." In your comment about me and my Roswell book, you said, and I quote again, "...I suspect Nick was inspired to make up this nonsense..."
Saying I made it up, is a thinly-veiled way of calling me a liar. I don't like being called a liar. In just about every radio interview I did for the book, I was careful to point out that I could have been deceived and the story told to me was either disinformation or they had obscure, personal agendas. I have never denied such possibilities. But, not even the main Roswell researchers (all of who were vehemently against the book) ever accused me of making it up. Had you criticized the book solely on the data alone, I almost certainly would not have bothered commenting at all. You, however, made it personal by suggesting I made it up (lied, in other words), so of course I am going to respond! PS: It is ironic that you comment on the fact that two of the people in the book are referred to as the Black Widow and the Colonel, when you call yourself Count Otto Black! What is the big deal about not arguing your point under your real name? Another thing Otto, as you no doubt know, Robert has a link at this blog to Keith Basterfield's blog. As I briefly mentioned in an earlier comment, Keith was (more than a decade ago and before my book was published) given a near-identical account to the Body Snatchers account. When my book was published, Keith contacted me, shared the info, and put me in touch with his source and we had a lengthy talk. Are you going to suggest that Keith made up his story and created a false source? Popular Mechanics, in 1997, said they had been told of a forthcoming release of Roswell files that would (quote) "tell of a Japanese counterpart to Operation Paperclip." Are you going to suggest that Popular Mechanics made it up? In other words, the story does not just come from me. The 2 above are just 2 of many similar threads totally unconnected to me - but on the same subject. Unless somebody comes up with some significant new facts, it's probably best to let this back-and-forth discussion end here. For the record, I do not think that Nick is making anything up. But those of us who have "been around" in UFOlogy for a while know that you will always encounter folks who tell incredible tales of secret UFO-related programs they have knowledge of, but lack any proof at all. And extraordinary claims require extraordinary proof. But the Japanese had no corresponding rocket program. In fact, they didn't have any high-tech programs that were beyond what we had. So I don't see the need for a Japanese Paperclip. Even if there were some high-value Japanese technical personnel we wanted to work with (which there was not, AFAIK), the Soviets did not occupy Japan, thus there was no danger of any Japanese experts being picked up and sent off to rocket bases in Siberia. And who were these people supposed to be? Japanese pilots? And they were being used as guinea pigs for absurd experiments? Why? Sorry, but unless somebody has real evidence, and not just stories, I'm not buying it. Robert, Yeah, most people don't buy it. And, as you prefer to let the thread end here, that's fine with me. But, I would say in closing that its important to note that the accounts given to me were not the only ones. Time and again, I heard people say "Nick's theory," or variations on that. I should like to set up THIRD conference alongside these two loopfests, titled "Why 'Roswell'is a Load of Bo-lox, Stan Friedman is a Secret Alien Out-Patient, and Everyone at the Other Two Places Down the Road is Barking Mad", and see how many people turned up. Sadly I don't have the resources. So it goes. But it would have been fun. > And Roswell isn't much of a city! Unless they build some hotels in the next few months, I imagine the huddled UFO masses building a Woodstockian tent city in the muddy plains that sit before the speaker podium. Perhaps Travis Walton will rise again after five days to divide some loaves and fishes. Nick Redfern can wash the feet of buffs with his hair (that is, his natty head kerchief). Derrell Sims can man the charging station for everyone's implants. Schmitt and Carey can hear deathbed confessions in a canvas-sided chapel bought from an Army surplus store. If we can have two simultaneous Roswell UFO 'festivals', why on earth can't we in the UK have two simultaneous Rendlesham festivals? You say "Roswell isn't much of a city". Rendlesham is a mere pinprick of a village in Suffolk, but by God it would attract a massive following - were someone dotty enough to stage such an event (sorry, I meant two such events). You mean nobody has held a "Rendlesham UFO Festivel" yet? I cannot imagine why not???! Oops! I've upset a True Believer! I don't wish to turn this into one of those endless "arguing with an increasingly apoplectic Bishop Sean Manchester" threads that go absolutely nowhere forever, so I'll close my end of the argument with a small observation. I've just had another look at Nick's plug on MUFON's site for a book he co-wrote with the 100% reliable and always totally sincere Timothy Green Beckley (aka "Mister UFO") about how to travel through time, to remind myself how utterly bonkers it was, and I got a bit of a surprise. The amazon link MUFON supplies now takes me to what appears to be a completely different book with the same title, but "revised and updated" to the point where neither of its two listed authors is Timothy Green Beckley, whose book of that name seems to have vanished without trace (Nick's contribution appears to have been excised too). Now, why would a publisher "revise and update" a book only four years old to the point where they retained none of the text apart from the catchy title? Perhaps it has something to do with the fact that, last time I looked, the only review anyone had given it was the worst review on amazon I've ever seen for any product. In addition to giving it one star, the reviewer pointed out that not only were the circuit diagrams supplied for the benefit of persons wishing to build their own fully operational time machines nonsensical, they were randomly conceived in such a way that, were anyone to be stupid enough to build such a device and, as instructed, plug it into the mains, they would very likely suffer fatal electrocution. That review, and indeed that version of the book, appear to have vanished as completely as Inner Light Publications could arrange. However, I put it to you that somebody willing to have his name attached to a book so poorly researched that nobody bothered to check whether or not following the instructions therein would cause its readers to die is not in the business of writing verifiable truths. Or indeed caring what he writes so long as he laughs all the way to the bank. OK, I'm done. Nick, you can have your hissy fit now. But, I'm not done. No, hissy fits here though. I am just carefully and clearly putting the record straight when someone (you) makes veiled comments - in a public forum, no less - about me being a liar. I am actually amazed you think I wouldn't hit back. Of course I would. As I said earlier, you are the one who made it personal, not me. I really would not have bothered replying had you not brought up the issue of my truthfulness. But you stated it, so I had to respond. As I see it, anyone publicly discussed in such a way should reply. I would not have much respect for anyone who wouldn't reply under such circumstances. So, don't complain about "endless threads." If there is an endless thread, it's solely down to your "made it up" comment. Remember that, when you (in a careful and couched way) call me a liar in public. As for the "way to the bank" comment, that's laughable. No-one writes books on Bigfoot, UFOs, etc to get rich. Or, if they do, they will be in for a big surprise! I have been writing books for 19 years. If money was my motive, I would have quit book-writing on the paranormal a long, long time ago. I drive a 14-year-old car, live in a rented, 400-square-foot apartment, and 2013 was the first time I could afford medical insurance. Not looking for sympathy. I am saying this because - YET AGAIN - you have made an incorrect PERSONAL comment about me - and again you have done so in a public forum. And, as a result, I have to respond. This time, however, you are suggesting in a slightly veiled fashion that my motive in what I do is money. There is none (well, very little) in this subject. So, as long as you insist on keeping it personal - rather than on data and cases, and Ufology - I have to keep this thread going to put the record on my character straight. If you just have an issue on what I write, or you disagree with my conclusions on this or on that, I actually don't have a problem with that and I probably wouldn't even bother replying. Everyone has an opinion, and that is what debate is about. But, personal slurs such as my truthfulness, and the matter of money and motivations, will get you nothing but lengthy comments in response. I can keep this up forever - if, that is, you insist on keeping on with your personal comments. What are these 'Roswell files', said to date from the 50s or 60s, that you (or your informants) refer to? Are they official files or not? Also, how did your informants get hold of them, i.e. did they have special privilege or clearance to do so? Remember that, according to the pro-ET brigade, everything official relating to Roswell is supposed to be Top Secret or above. The USAF and the GAO spent some time locating official files on Roswell in the mid-1990s but drew a complete blank. I will state my own conclusions fair & square: No such files exist or ever did. And your anonymous informants have either made the story up or got it from someone else. CDA: Jeez, I have already pointed out on several occasions above that the sources are not anonymous. They all had to provide release forms for the publisher, Simon & Schuster. Of all the people I interviewed, only two appear under aliases. The rest are all named in the book! As for the files, they claimed to have read them years ago (50s and 60s), specifically when working in the field of psychological warfare. They didn't get hold of them, as you word it: they read the files as part of their regular work as it related to using UFOs as cover stories (for such things as sightings of classified, prototype aircraft etc). This is the field they worked in, and how they saw the files. I have never, ever denied that the story as given to me could have been fabricated, but I dont personally think it was. But I cannot say for 100 percent sure. If it was, however, it was shared too with Keith Basterfield, with Popular Mechanics, with the late researcher Kathy Kasten, with John Keel and others. For whatever reason, from the 80s onward (quietly then but more openly in the late 1990s and definitely in the first 5 years of this century) more than a few of these people approached ufologists and magazines with this story. Was the US so hard up for test pilot volunteers in the late 40s that there was a need to press 4' 11" Japanese pilots into service? Did 5' 4" yankees just not cut it? This isn't obtaining great minds in Paperclip, it's collecting thumbtack aviators for no discernable reason. For the record, I fully believe Nick's account of how these stories came about. It may be worthwhile, however, to put this to the smell test and see if it comes up on the side of Bigfoot droppings instead. "The Case For A Secret Space Program"
Do they mean there should be one, or they think there already is one? ?